BUFFALO, N.Y. – Big truck accidents are on the rise. Since 2009, deadly truck crashes have increased nearly 30-percent, and thousands of innocent drivers and passengers are injured or killed by these large trucks each year. No one ever wants to think about what to do if you’re hit by a tractor-trailer, but many heartbroken families have asked us this question after a loved one was hurt, often seriously, in a truck crash. Get Medical Attention. In any type of crash, your health and well-being are paramount. If anyone else was injured, get them medical attention as soon as possible. Studies have found that immediate medical attention can save lives and reduce the long-term severity of an injury. Take Pictures & Find Witnesses. If you did not require medical attention, immediately start taking pictures and getting information from witnesses and other drivers/passengers involved in the wreck. If you’re physically unable to gather this information, call a family member or friend to do this for you. It will also be helpful to take photos of your original injuries. What company does the truck driver work for? What cargo was the truck carrying (if any)? Where was the truck going? How many hours has the truck driver been on the road today? How many total hours this week? Call A Truck Accident Attorney. 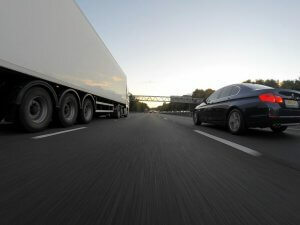 Even before calling your insurance company, contact an experienced New York truck accident lawyer at Cellino & Barnes. The insurance companies may try to settle with you, even before a claim is filed – and it’s usually much less than what your claim will be worth. Our legal team is in your corner, and we’ll make sure you get the best result possible from an injury claim. 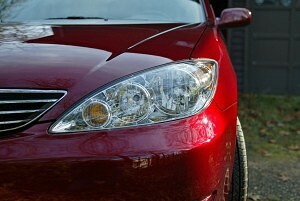 Insurance companies know that they can save money by offering you less compensation. They also know that when a victim is represented by an experienced truck accident lawyer, the value of the case goes up, 4x on average. Getting into a truck accident is stressful enough – don’t let the insurance companies add to your stress. 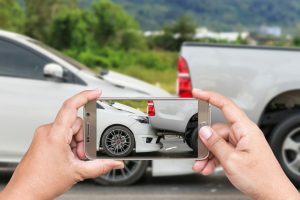 Call an experienced New York truck accident attorney at Cellino & Barnes, and let us fight the insurance company for you. One of the largest recalls in history brought 9 million cars back to the dealership after reports of Toyota Camrys (and other vehicles) that would inexplicably accelerate. In 2006, one Minnesota driver was sent to prison for his role in a deadly crash but he was later freed after reports and recalls surfaced about a ‘sticking gas pedal.’ The Associated Press reports that driver, Koua Fong Lee, and other survivors of that crash are now demanding justice from Toyota in court. Lee spent nearly three years in prison when his 1996 Camry rear-ended another vehicle, killing three in St. Paul, Minn. Toyota later recalled several models in 2010 but did not include the 1996 Camry despite Lee’s similar claim of a sticking gas pedal. Since the recalls, which included several makes and models between 2004 and 2010, Toyota agreed to pay the federal government a $1.2 billion settlement. The automaker also agreed to pay more than $1 billion to settle lawsuits by owners who said the vehicle value took a fall after the recalls. Jury selection for Lee’s lawsuit began Wednesday. Opening statements are expected Thursday.